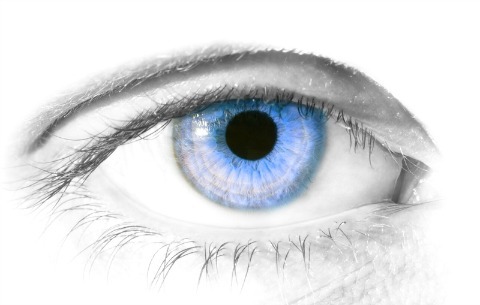 Monitoring one's vision, checking it daily for any changes, distortions, or blind spots is recommended for those with macular degeneration or other macular diseases. The standard monitoring test is a graph-like image called the Amsler Grid. 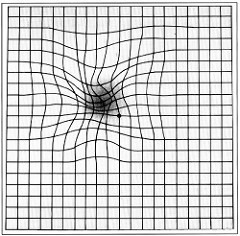 By looking at the grid, a person can be alerted to vision distortions or a missing area of vision. The reasoning behind at home vision checks is to obtain timely treatment in the event of sudden bleeding into the macula. However, there are lots of opportunities for inaccuracies and inconsistencies using this macular degeneration test. Dr. Yi-Zhong Wang, Ph.D, a research scientist at the Retina Foundation of the Southwest, is working to develop more effective vision function tests. One of the key goals of his research has been to identify macular degeneration tests which would be most sensitive at identifying vision loss in the macula, or central part of the retina. His research has led to a new vision monitoring test that has received FDA clearance. This macular degeneration test not only is more accurate and more sensitive than the Amsler Grid, it will also alert your eye doctor to any significant changes in your vision so that if treatment is needed you will be seen promptly.